Conrad, Leibold, Woerner & Company, founded in 1958 by Jesse L. Conrad, is a leading accounting and consulting firm in Marysville, Ohio and the Union County area. For over 50 years, Conrad, Leibold, Woerner & Company has served clients with business advice & valuations, consulting, payroll, tax and accounting services to a variety of corporate, non-profit, and privately held businesses, as well as government and individuals. At Conrad, Leibold, Woerner & Company, we believe that the selection of a certified public accounting firm is one of the most important decisions an individual or business can make. 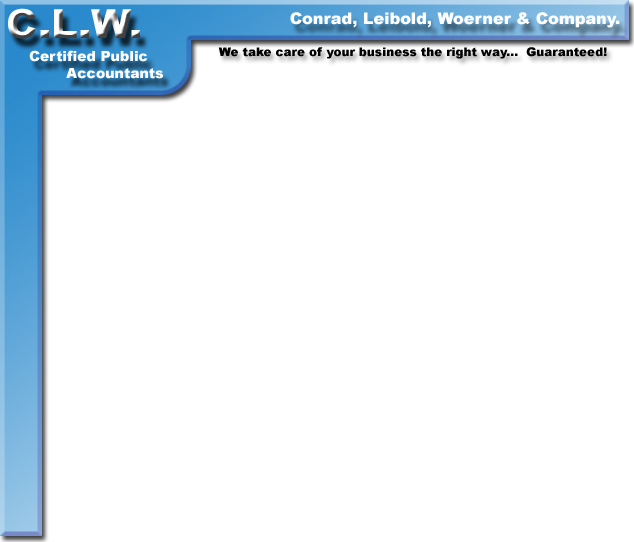 Great service is what you should get from your CPA and you get it from Conrad, Leibold, Woerner & Company. We make a commitment to our clients to provide comprehensive, innovative and personalized services while developing a thorough knowledge of the client's needs. 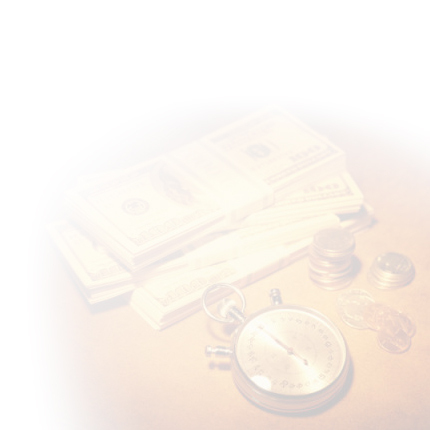 This commitment and individualized care results in each client receiving the service and planning tools necessary to effectively manage their business and maximize profits. Whether you are new to the area and in need of a new accountant for your taxes or you're considering seeking a change, we'd like to meet with you. To discuss your business or the individual attention and the services you would like to receive, give us a call or send us an email. Either way, Conrad, Leibold, Woerner & Company will be here when you need us!